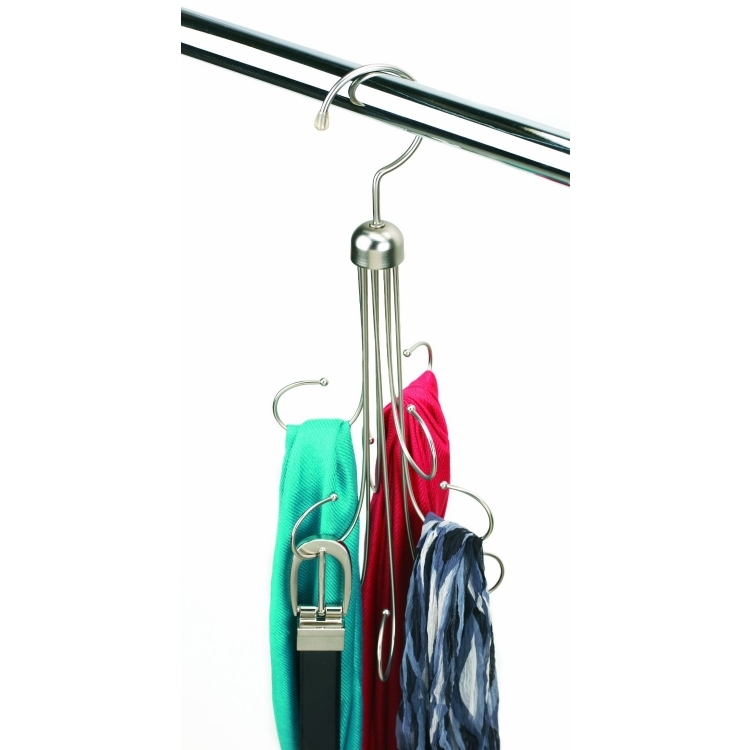 Space-saving accessory organizer hangs in the closet. 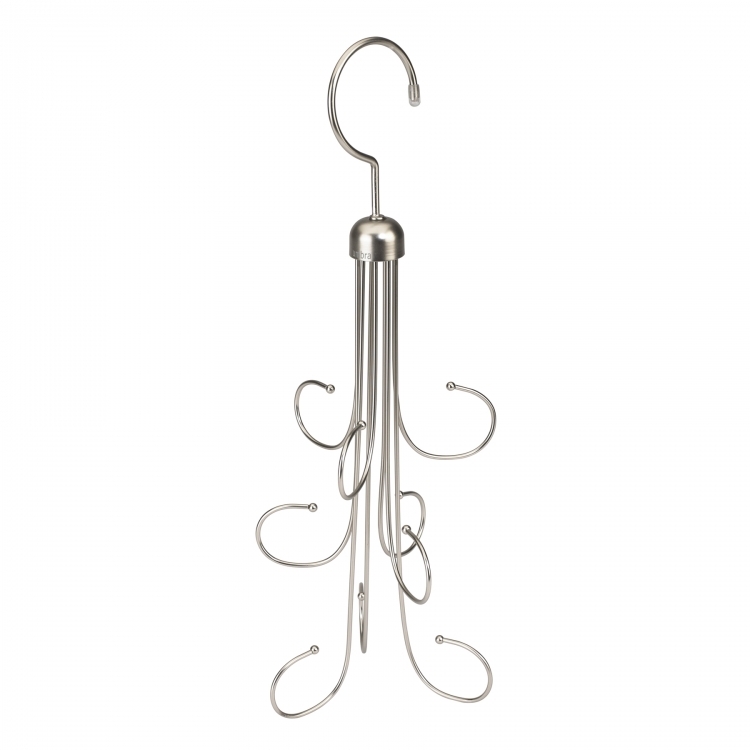 Constructed of bent metal; plated nickel finish. 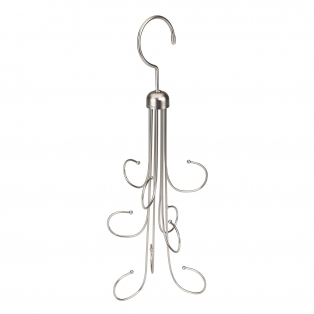 Nine hooks in circular configuration; unit hangs from closet rod. Designed by David Quan for Umbra- original, modern, casual, functional and affordable design for the home.